Um bom ano novo. Gratas aos nossos amigos a Expans?o! And Now a Word from AT&T - On Universal Design! Did you know that one quarter of the U.S. population consists of people who are elderly, have a disability, or both? And 30% of households in this country have a family member with a disability. With our aging population, roughly 10,000 people turn 65 every day. And this trend is expected to continue for the next two decades. Think about that. This is a significant number of Americans whose appetite for mobile broadband technologies is just as voracious as the rest of the population. This week, I had the privilege of delivering a keynote address at the M-Enabling Summit held here in Washington D.C. This was the first industry event dedicated exclusively to exploring accessible and assistive mobile platforms to better serve seniors and persons with disabilities. Our philosophy at AT&T has always been to design products and services that benefit as many people as possible. And our Universal Design policy provides our suppliers and internal stakeholders with a clear set of guidelines that enable us to bring accessible products and services to the marketplace. At the heart of Universal Design is user-centered design incorporated at the earliest stages of development. This requires a keen understanding of how people with a variety of needs and limitations interact with a particular device or service. This video does a terrific job illustrating the powerful, real-world impact of Universal Design. This week's summit, made possible by the Global Initiative for Inclusive Information and Communication Technologies (G3ict), drew an impressive crowd of policymakers, government officials, industry representatives, and leaders from the disability community. I focused my remarks on the "Inclusion Imperative" and why developing accessible products and services makes good business sense. That's not to say the market will drive all our disability solutions. But it does mean that a forward-looking company with the right culture, system, and processes in place can drive more economic and efficient solutions than we might have thought possible. And this is particularly true in the mobile broadband ecosystem, which is marked by such rapid technological innovation. We're very proud of our efforts to help create a more inclusive world and we're excited about what the future holds and what new innovations lay ahead. The benefits of mobile broadband technologies are universal. It's only logical that the products and services that deliver these extraordinary technologies be universally accessible as well. It's that simple. If you would like to learn more about how AT&T has integrated accessibility into its activities, from product development, human resources, and talent retention to recruitment, marketing, and customer service, you can find a case study here. L'Observatoire interministériel de l'accessibilité et de la conception universelleorganise le 9 décembre 2011, à Paris, une journée conférence sur la thématique de la Conception Universelle (? Universal Design ?). La France, dans la suite de l'Union européenne et à l'instar de 105 autres pays, a ratifié la convention ONU de décembre 2006 promouvant la conception universelle. Il s'agit pour l'Observatoire de consacrer une journée à l'approfondissement de ce concept afin de permettre dans un temps second sa diffusion auprès des différents acteurs et son appropriation par notre société. Mme Valérie FLETCHER, directrice exécutive de l'? Institute for Human Centered Design ? de Boston, et M. Francesc ARAGALL, président de la ? Design for All Foundation ?, participeront activement à cette journée. l'appropriation de la conception universelle par la société fran?aise. Le programme définitif sera prochainement mis en ligne. Cette conférence sera traduite en fran?ais/anglais, vélotypie et LSF. Starting a Conversation: How Does Article 19 of the Convention on the Rights of Persons with Disabilities Impact Tourism? Article 30 of the CRPD specifies the right of persons with disabilities to participate in tourism, sport, and leisure activities. Can Aticle 19 relate to inclusion in tourism also? How much further than a mere compliance attitude must prevail to "recognize the equal right of all persons with disabilities to live in the community?" Article 19: Living independently and being included in the community. The American with Disabilities Act (ADA) mandates accessibility design standards for adults in public accommodations, including location-based entertainment venues. One of many shortfalls of the ADA standards is that they do not make a facility accessible and usable by children, either with or without disabilities. Designing for children's accessibility is especially challenging as children come in different sizes and abilities across their age range. Our company believes in going beyond the minimum standards of ADA in the design of our projects by following the principal of universal design. Universal design is an approach to the design of products and environments so they can be used by all people, with and without disabilities, to the greatest extent possible, without the need for adaptation or specialized design. Universal design is an inclusive design approach that extends the benefits of use to many groups of people who are not necessarily classified as having a disability under ADA, but who regularly encounter functional obstacles. This can include short people (including children), tall people, large people, frail people, pregnant women, people who can't read English (immigrants and young children), people carrying packages, parents carrying children or with children in strollers and people with orientation and hearing difficulties, including some senior citizens. Over our 22-years' experience of designing all types of location-based leisure and educational facilities, our company has developed a set of universal design criteria and standards that we follow on all projects to assure that they are fully accessible to the broadest possible group of people. This includes making projects family-friendly (especially mom- and child-friendly) and grandparent-friendly if they are attracting the family market, even if that is only a small segment of all the customers. We find that universal design makes location-based leisure facilities attractive to the largest market of people, so it's not only good business as it maximizes attendance; it's the right thing to do. Turismo Visión Argentina presente en el Ministerio de Turismo en el marco del Programa Directrices de Accesibilidad en Alojamientos y Servicios Turísticos, de la Dirección Nacional de Gestión de Calidad Turística del Ministerio de Turismo de la Nación. Dialogamos con Enrique Meyer, Ministro de Turismo de la Nación y con Gonzalo Casanova Ferro, Director Nacional de Gestión de Calidad Turística. The 2012 Europe in Action will take place in Brussels on 31 May - 2 June 2012. Self-advocates, family members, professionals, and their organisations from all over Europe and beyond will have an opportunity to exchange current employment policies and practices at European level with a wide range of stakeholders. Judge George Daniels has ruled that meaningful access to the NYC taxi system is required. "It is clear, however, that less than 2% of the city's fleet being wheelchair accessible, resulting in the unavailability of taxi transportation and significantly increased waiting times for disabled persons who require wheelchairs, is not meaningful access. In fact, during oral argument, the TLC conceded that its regulations do not provide meaningful access to individual who require wheelchairs. It must do so." "...meaningful access for the disabled to public transportation services is not a utopian goal or political promise, it is a basic civil right. Title II requires immediate and full compliance." 8. Desenho de estratégias de aquisi? ?o verde no governo e setor privado a incluir as empresas de propriedade de profissionais com necessidades especiais. 9. Acesso universal e estratégias de desenho universal em uma economia verde. 10. Cidades verdes e infraestrutura verde: planejamento e resposta às necessidades dos portadores de necessidades especiais. Um garoto de dez anos de idade decidiu praticar jud?, apesar de ter perdido seu bra?o esquedo em um terrível acidente de carro. O menino ia muito bem. Mas, sem entender o porquê. Após três meses de treinamente, o mestre tinha lhe ensinado somente um movimento. O garoto ent?o disse: - Mestre, n?o devo aprender mais movimentos? O mestre respondeu ao menino, calmamente e com convic? ?o, "Este é realmente o único movimento que você sabe, mas também é o único movimento que você precisará saber." Meses mais tarde, o mestre inscreveu o menino em seu primeiro torneio. O menino ganhou facilmente seus primeiros dois combates e foi para a luta final do torneio. Seu oponente era bem maior, mais forte e mais experiente. O garoto, usando os ensinamentos do mestre, entrou para a luta e, quando teve oportunidade, usou seu movimento para prender o adversário. Foi assim que o menino ganhou a luta e o torneio. - Mestre, como eu consgui ganhar o torneio com um movimento? Você ganhou por duas raz?es - respondeu o mestre .Em primeiro lugar, você dominou um dos golpes mais dificies do jud?. E, em segundo lugar, a única defesa conhecida para este movimento é o seu oponente agarra seu bra?o esquerdo. Assim, também nós podemos usar nossa fraqueza para que ela se transforme em nossa for?a. O que realmente importa é o poder da determina??o. Taxis in NYC: Justice has been served! La asociación Síndrome de Down Burgos promueve, dentro de su participación en la junta directiva del Plan Estratégico de Burgos y con la intención de aunar a todas las asociaciones que trabajan con personas con algún tipo de discapacidad, que la capital burgalesa opte a convertirse en Ciudad Europea Accesible en el a?o 2013. El objetivo es lograr un reconocimiento, que no conlleva premio económico, pero que implica valores humanos y también la capacidad de atraer turismo entre los distintos colectivos de personas con discapacidad. 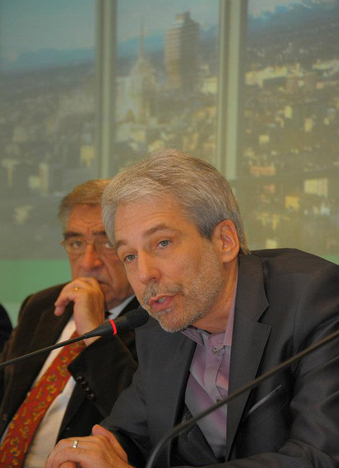 Así lo explicaba Luis Mayoral, gerente de la asociación Síndrome de Down, que destacaba la importancia de que Burgos sea una ciudad accesible, ?no hostil? para ninguna persona sea cual sea su condición. Mayoral explicaba que, al ser la única asociación relacionada con la discapacidad presente en la junta directiva del Plan Estratégico, quiso proponer una cuestión en la que reunir los intereses de otros colectivos de la ciudad y la provincia. ?La accesibilidad puede convertirse en una línea estratégica para la ciudad y puede redundar en su desarrollo desde el punto de vista económico y turístico?, aseguraba el responsable de la asociación Síndrome de Down, que recordaba, que alrededor del 9% de la población espa?ola tiene alguna discapacidad y considera que, entre estas personas, podría tener una repercusión positiva este nombramiento. Durante el próximo 2012, se comenzará a trabajar de cara a presentar la candidatura de Burgos, que primero deberá pasar una eliminatoria nacional y después otra Europea. Sólo una ciudad europea obtiene el reconocimiento cada a?o, mientras que otras tres son nombradas finalistas. ávila recibió este premio como Ciudad Europea Accesible en 2011, el a?o en que se gestó este reconocimiento. Mientras, que Santander ha sido finalista en la resolución de 2012, que se conoció el pasado 1 de diciembre. En este último caso, el jurado europeo ha valorado la buena planificación de sus programas de accesibilidad urbana ateniéndose a un enfoque basado en un dise?o universal, así como la calidad y sostenibilidad de los resultados alcanzados en la capital cántabra. La de 2013 será la tercera edición de este premio. La oficina del Plan Estratégico colaborará en lo que tiene que ver con la presentación del dossier de la candidatura. Según explicaba Mayoral, es un trabajo de recopilación de todo lo que tiene que ver con la accesibilidad en la capital burgalesa. ?Hay que presentar realidades y no proyectos de futuro?, comentaba el gerente de Síndrome de Down. De esta manera, deberá incluirse todo el trabajo que se ha hecho en eliminación de las barreras arquitectónicas, las posibilidades de acceso a edificios públicos, el transporte público y la disponibilidad de intérpretes para personas sordas en distintas actividades culturales y sociales, entre otras cuestiones. En este último apartado, Mayoral recordaba que el Museo de la Evolución Humana es uno de los lugares de la ciudad que cuenta con accesibilidad para las personas sordas. A finales de cada a?o, la Comisión Europea elige a la ciudad ganadora de la siguiente anualidad. Antes de llegar a la fase europea, es el Comité Espa?ol de Representantes de Personas con Discapacidad (CERMI) el que elige a las ciudades espa?olas que pasan a la siguiente fase. La Comisaria de Justicia de la UE, Viviane Reding, aseguraba el pasado 1 de diciembre cuando se dio a conocer la ciudad ganadora de 2012, que el Premio Ciudad Accesible ayuda a destacar y promover las buenas prácticas en toda Europa, ?en un momento en que el envejecimiento de la población está tornando la accesibilidad para todos en una necesidad?. Life isn't easy, especially when you're confined to a wheelchair, or have difficulty getting around because of poor eyesight. Imagine not being able to enter a building or even work because of these handicaps. That's why buildings must have the proper facilities be as accessible as possible to help those with disabilities get around easier. Organised by the Department of Standards Malaysia, KAED Universal Design Unit of International Islamic University Malaysia (IIUM) and Kuching North City Hall (DBKU), the "Access Audit in the Built Environment Seminar" aims to do just that. Held over a two-day period at the Sarawak Tourism Complex, the seminar attracted prominent developers and architects from around the state who, together with the KAED unit, are working together to make buildings around Malaysia more accessible to the handicapped and people with disabilities (PWDs). "PWDs can be divided into four categories: those confined to a wheelchair, the vision impaired, the hearing impaired and those who require a walking aid to move around," said KAED Deputy Dean Professor Asiah Abdul Rahim, who presided over the seminar. "It is crucial that these people, who deserve to be treated with the same amount of respect and care just like you and me get the proper facilities and attention when it comes to accessibility. "The objective of this seminar is to raise awareness of builders, developers and architects when it comes to designing and drawing up plans and tailoring them to help meet the needs of PWDs," she explained. Out of 16 case studies carried out by the university, only 25% of the buildings involved were found to have proper accessibility facilities for PWDs. "I believe that to achieve Vision 2020, we need to make sure the connectivity of buildings and architecture around the country meets the international standards. "To do that, more PWD friendly design plans must be approved before being finalised and built. Thankfully, the response from our participants has been really supportive and many are looking into ways to implement better accessibility and connectivity into their construction designs," she added. "Not only that, but also receptionists, general workers and security guards must be properly trained and instructed on how to deal with PWDs." Over 80 participants, including many of those who are disabled took part in the seminar from Dec 19 to 20. "From here, we will hopefully carry out many more seminars like this to raise awareness around the country." Prof. Asiah will be travelling to the United States soon to meet many like-minded researchers and architects to discuss and develop better ways to make buildings more accessible to those with disabilities. Rafinha Bastos, Thaíde, Sophia Reis e Débora Villalba mostram a luta dos cerca de 25 milh?es de brasileiros que possuem algum tipo de deficiência e querem seu lugar na sociedade. Progress has continued in 2011 toward promoting the rights of persons with disabilities in society and development. The fifth session of the Conference of States Parties to the Convention on the Rights of Persons with Disabilities (CRPD) will be held from 12 to 14 September 2012. The National Association of the Remodeling Industry offers its Universal Design Remodeling Class starting in January. The class will cover the seven principals of universal design: equitable use, flexibility in use, perceptible information, tolerance for error, low physical effort, and size and space for approach and use.
? ?According to NARI, attendees "will understand the differences between model building codes and ones described within the Americans with Disabilities Act. "? ?The course meets online every Tuesday from 2 to 4 p.m. CST for four weeks. El Ayuntamiento de La Laguna, a través de su Sociedad Municipal de Viviendas Muvisa, ha recibido un premio a la arquitectura accesible de una promoción pública de 28 viviendas adaptables construidas en el pueblo de Tejina. Este reconocimiento de carácter bienal, en concreto una mención especial, ha sido concedido por el Cabildo tinerfe?o, a través de Sinpromi, dentro de su promoción de programas para la supresión de las barreras físicas y de la comunicación. Estos premios de arquitectura accesible apuestan por un dise?o universal que recoja los requerimientos de todos los ciudadanos, sea cual sea su condición física, psíquica o sensorial y por una manera de concebir el entorno, donde la accesibilidad se incorpora desde la concepción del proyecto. El proyecto de estas viviendas públicas promovidas por Musiva, que fueron entregadas el pasado 8 de junio, presta especial atención a la supresión de barreras físicas y a la accesibilidad de las personas con movilidad y comunicación reducidas, tanto en las zonas comunes, como en el interior de las viviendas. Un nuevo concepto: vivienda adaptable Así, promueve un concepto nuevo de vivienda adaptable, que sin llegar a ser una vivienda adaptada, está proyectada con la suficiente flexibilidad para poder llegar a serlo con una mínima intervención y así favorecer la mutación de las mismas en los diferentes cambios que puedan experimentar los usuarios durante el transcurso de sus vidas. Las 28 viviendas se organizan en dos volúmenes prismáticos pesados que se insertan en la parcela alineándose a las calles existentes y generando un espacio libre entre ambos donde se concentran las comunicaciones y que constituye el espacio de relación social desde el cual se produce el acceso desde la calle. 1. Oportunidades, desafios e barreiras que enfrentam as pessoas com necessidades especiais na nova economia verde. 2. Educa? ?o, forma? ?o, necessidades profissionais para a economia verde, como eles podem ser adaptados para pessoas com necessidades especiais. 3. Projetar programas de treinamento e oportunidades de emprego para pessoas com necessidades especiais na economia verde. 4. Garantir que pessoas com necessidades especiais sejam capazes de beneficiar a economia verde: a concep? ?o de parcerias estratégicas com diferentes segmentos da sociedade, ambiente político e empresarial. 5. Cria? ?o de incentivos, políticas e práticas para aumentar a participa? ?o das pessoas com necessidades especiais na economia verde. 6. O papel do governo, setor privado, universidades, ONGs, organiza? ?es multilaterais, na cria? ?o de oportunidades para pessoas com necessidades especiais em uma economia verde. 7. Formula? ?o de políticas para lidar com quest?es de deficiência nas comunidades nativas. 8. Desenho de estratégias de aquisi? ?o verde no governo e setor privado a incluir as empresas de propriedade de profissionais com necessidades especiais. 9. Acesso universal e estratégias de desenho universal em uma economia verde. 10. Cidades verdes e infraestrutura verde: planejamento e resposta às necessidades dos portadores de necessidades especiais. 11. Redu? ?o da pobreza em um contexto de economia verde. 12. Sustentabilidade ambiental. 13. Desenvolvimento econ?mico e social. The concept of universal design continues to grow in popularity among homeowners, remodelers and designers. Once an un-familiar concept, the demand for products that are accessible and functional for everyone increases as these products become more attractive, available and appreciated. Ron Mace, an architect and advocate who influenced thinking about design on an international level, is credited with creating the concept of universal design. According to Mace, the formal definition of the concept is the use of products, spaces and aesthetics to the greatest extent possible by everyone, regardless of their age, ability or status in life. Another way to think about it is human-centered design, as it helps us remember that our surroundings and products should support the activities, lifestyle and circumstances of the people we are designing for instead of the other way around -- expecting people to adapt to the design. In addition, the design must respect the differences in human factors, while also maintaining a visually appealing aesthetic. The terms aging-in-place and universal design are often confused. 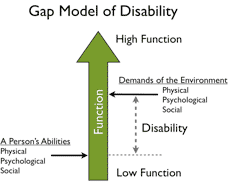 Overall, universal design is a broader term because it targets the entire population. It takes into account the reality that changes will occur over the life of the home and its occupants, as well as the environment and its users. On the other hand, the term aging-in-place is a little narrower because it refers to home modifications that support changes that occur specifically as we advance in the aging process. Historically, there has also been confusion about the differences between universal design and accessibility products, putting an erroneous medical spin on universal design products. As acceptance of universal design grows, there is more understanding and appreciation for the cleverness of good design that improves ease of use. However, many designers still find themselves walking a tight rope when it comes to promoting both the beauty and convenience of universal design products. The Australian Sustainable Built Environment Council (ASBEC) has welcomed the launch of the Australian Urban Design Protocol, which has been developed to encourage world-class urban design and architecture. "ASBEC has been calling on the Australian Government to take a streamlined, coordinated approach to the planning and delivery of our cities, and the Urban Design Protocol is a step towards achieving this," says Romilly Madew, chief executive of the Green Building Council Australia and chair of the ASBEC Cities task group. The Australian Urban Design Protocol has been developed by the Department of Infrastructure and Transport's Major Cities Unit, with the assistance of an editorial board that includes ASBEC, each of the state government architects, various state and territory planning bodies, the Council of Capital City Lord Mayors and other stakeholders. Public consultation involved 500 participants in workshops and presentations around the nation, as well as a written submission process. The Protocol, which also incorporates Universal Design and Accessibility Principles, establishes a framework for the practice and delivery of urban design that is supported by case studies, a toolkit for best practice and links to additional resources. "The Protocol will complement the Australian Government's national urban strategy, as well as industry-led projects such as the Green Star - Communities project, which aim to set best practice benchmarks for the planning, design and construction of sustainable communities across Australia," Madew says. "ASBEC believes coordinated approach to urban policy development is necessary to meet Australians' desire for sustainable and liveable cities, to make our cities more resilient to climate change and environmental disasters and to maximise the opportunities of our cities as drivers of Australia's productivity and innovation. "The ASBEC Cities Task Group is actively working with government and industry in support of this important agenda and the Urban Design Protocol will make a valuable contribution towards achieving the objectives of sustainable, liveable and productive cities," Madew concluded. On 1 December 2011, the "European Day of People with Disabilities", the Austrian city Salzburg was awarded the Access City Award 2012. This award, organised by the European Union (EU) in partnership with the European Disability Forum (EDF), recognises efforts to improve accessibility in the urban environment and to promote equal participation in society by disabled people. The second edition of the award received nominations from 114 cities in EU countries, of which 31 were selected by national juries comprising disabled people and accessibility experts for the European jury to judge. Salzburg was chosen as the overall winner for its outstanding achievements in all of the award's key accessibility areas: the built environment and public realm, transport and related infrastructure, information and communication, including new technologies, and public facilities and services. The other finalists were Krakow, Marburg and Santander. 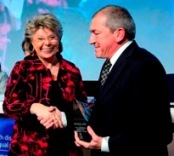 EU Justice Commissioner Viviane Reding, who presented the award, said: "The Access City award helps to highlight and promote good practice across Europe, at a time when an ageing population is making accessibility for all a necessity." She added: "I would like to see an Accessibility Act for Europe and intend to come forward with a proposal by the end of 2012." Echoing Green will award twelve to twenty two-year fellowships to social entrepreneurs around the world in 2012. The fellowships provide start-up capital and technical assistance to help new leaders launch social enterprises and build the capacity of their social enterprise. The program seeks individuals or partnerships (organizations led by two people) with innovative solutions to significant social problems, strategies designed to create high-impact and sustainable change in people's lives, and the ability to grow and lead a new organization. The application process is open to citizens of all nationalities working in any country. Applicants must be fluent enough in English to participate in interviews and Echoing Green events, and must be 18 years of age or older. Organizations seeking support must be the original idea of the applicant and must be independent, autonomous, and in a start-up phase, which means the applicant may have been running the organization full-time for up to two years, with Echoing Green's financial support constituting its major/primary early funding. Applicants who have only worked on their organization on a part-time basis or have yet to start an organization are generally considered eligible. Applicants must make a full-time commitment to their organization's development for the full two years of the fellowship. Fellows receive up to $80,000 ($90,000 for partnerships of two people) in seed funding over two years as well as other benefits and technical assistance. Visit the Echoing Green Web site for complete eligibility information, application materials, and profiles of previous fellows and their projects. Just in time for the holidays, a Marine paralyzed from the shoulders down received the gift of mobility, today. A vehicle with a BraunAbility wheelchair accessible conversion was presented to active duty Marine Staff Sergeant (SSgt.) Scott Nicholas and his family at certified Braun dealer, Ride-Away. SSgt Scott Nicholas, a veteran of Operation Iraqi Freedom, was paralyzed in a motorcycle accident in November 2010 in Jacksonville, North Carolina. For the past year, his wife Yolanda and family have been at his side while he has gone through rehabilitation and recovery. Scott is currently receiving therapy at the Tampa Veterans Administration hospital. BraunAbility's conversion of the Chrysler 2011 Touring van includes a lowered-floor conversion that allows Scott to access the vehicle with his wheelchair and ride in the passenger side position. The vehicle was made possible through several grants, including a special Veterans discount of $1,111.11 from BraunAbility and Ride-Away in honor of 2011's Veteran's Day. The discount is given to any active duty service member or veteran purchasing a new BraunAbility vehicle. Thanks also to Ride-Away's generosity, the Nicholas family received a temporary lowered-floor adapted van during the six months production time of their new adaptive vehicle. SSgt Nicholas received the Braun van with his wife Yolanda and their three children. Also in attendance was Semper Fi Fund Case Manager Sheri Holden, Help Our Military Heroes Chairman of the Board Ted Hollander, Ride-Away President Mark Lore, and Ride-Away Tampa General Manager Jim Scruggs. The Semper Fi Fund, which donated $12,700 towards the vehicle, helps fund specially adapted vehicles through its Adaptive Transportation grants. These grants are provided to service members who have lost limbs, or has been catastrophically injured in combat or training, or as in SSgt Nicholas case, as a result an accident while on active duty. Modified transportation is a vital component to a successful rehabilitation for someone who is severely injured. It is key to ensuring that appointments and therapies are easily attended, and more freedom of mobility is given to the service member and their families. communities and also has over a 95% volunteerism rate with their employees. For more information, call (888)-RIDE-AWAY (888-743-3292) or visit our website at www.Ride-Away.com. The Braun Corporation is the world's leading manufacturer of wheelchair accessible vans, ramps, and wheelchair lift systems. These products enable persons with physical disabilities to regain mobility and lead active and independent lives. The Indiana-based company was founded by Ralph Braun, who was diagnosed with spinal muscular atrophy at a young age and unable to walk by age 15. Ralph was motivated by his disability to invent the world's first electric scooter (the Tri-Wheeler) and wheelchair lift (the Lift-A-Way) in his parents' garage. Word spread and demand for the product increased, resulting in the birth of Save-A-Step Manufacturing, which ultimately became The Braun Corporation. The company, via the BraunAbility brand, offers the most diverse model lineup in the industry, including the most popular minivan models from Dodge, Chrysler, Honda, and Toyota. For more information about the Braun Corporation or our outstanding line of wheelchair accessible vehicles, please visit www.braunability.com or www.facebook.com/BraunAbility. ABOUT HELP OUR MILITARY HEROES: Help Our Military Heroes, Inc., (HOMH) (http://www.helpourmilitaryheroes.org) is a nonprofit organization dedicated to providing the military wounded with fully equipped handicapped vehicles. HOMH is donation-driven with 100% of funding going toward purchasing special-needs vehicles and awarding them to military heroes in need. HOMH recognizes that every case is different and works with each individual in need to modify a vehicle specific to his or her injuries. HOMH was co-founded in 2009 by Laurie and Ted Hollander and Marybeth Vandergrift. Our Executive Board is comprised of Veterans, Educators, Athletes, Lawyers, and Business Executives all who all come together with one goal: to make life better for our wounded soldiers. Dr. Scott Rains trabalhava com a Funda? ?o Rick Hansen projetar o congreso internacional Interdependence 2012. Viaje todo incluyente es la nueva serie de televisión de Once TV México, en la que un grupo de cinco jóvenes nos muestra cómo los límites son decisión propia. Abel, Alejandra, Joaquín, Jocelyn y Julio César vivirán viajes increíbles al recorrer la república mexicana en busca de aventura, conocimiento y diversión, sin importar sus discapacidades, pues para ellos es posible practicar y disfrutar casi cualquier actividad turística en nuestro país. Por ello, Viaje todo incluyente es un programa innovador en el que veremos que no hay restricciones mientras exista el deseo de viajar, descubrir, conocer y vivir experiencias extremas. Cada uno de nuestros protagonistas nos hará sentir parte del grupo al compartir con nosotros sus expectativas y su singular manera de vivir y experimentar sensaciones y emociones, así como también nos mostrará sus miedos y los retos que tendrá que vencer para vivir cada experiencia al máximo. Tiene 35 a?os y es empresario. Tiene 21 a?os y es estudiante de Dise?o gráfico. Tiene 22 a?os y es estudiante de Administración. Tiene 22 a?os y es ilustradora. Tiene 26 a?os y es agente de seguros. A free conference has been organised for the industry to give insight on how to gain new business from people with disabilities - a market worth ￡2bn a year in domestic travel alone. Research by VisitEngland revealed that the demand for travel and leisure products from disabled people is growing, and the conference - organised by charity Tourism for All and Open Britain, a website for all disability travel information in the UK - aims to offer tips on how to tap into the market and to maximise opportunities, particularly in the build up to the Olympic and Paralymic Games next year. Speakers include Dame Tanni Grey-Thompson, Loyd Grossman and Magnus Berglund of Scandic Hotels and the event will be chaired by Mark Lewis, editor of Caterer and Hotelkeeper. The conference takes place on 24 January at The BT Centre inLondon. To register your interest, email info@tourismforall.org.uk. O espa?o reservado a deficientes físicos em arenas da Copa do Mundo de 2014 transformou-se em polêmica envolvendo autoridades públicas brasileiras sobre os direitos de minorias no evento. A lei nacional prevê número de lugares bem maior que as normas internacionais e que os projetos das arenas. A diferen?a chega a até 11 vezes mais, como no Maracan?. Nesta semana haverá reuni?o sobre o tema entre as cidada-sedes da Copa e o governo. O assunto se arrasta há seis meses, desde que o ministério alertou os donos dos estádios da necessidade de seguir a lei. Enquanto isso, as obras continuaram sem altera? ?es nos projetos. Responsáveis pelas arenas dizem que a legisla? ?o brasileira é exagerada e deveria ser revisada. Mas o governo federal defende que a lei seja cumprida. Assim como os representantes de deficientes. Se a legisla? ?o for mantida, haverá altera? ?o em todos os projetos de estádios, com o encarecimento deles. Além dos lugares especiais, ser?o necessários mais assentos para acompanhantes e mais acessos por rampas. Um estudo do Ministério do Esporte obtido pela Folha mostra o tamanho da diferen?a de padr?o. O Green Guide, referência na Europa e na Fifa, indica 266 espa?os. O documento base norte-americano prevê 351. E a norma técnica brasileira, anterior à lei, exigiria 231 assentos aos deficientes. "Ninguém é contra os direitos dos deficientes, mas 1.400 vagas para cadeirantes e mais 1.400 para deficientes visuais e obesos em um estádio é absurdo", diz Eduardo Castro Mello, arquiteto do Estádio Nacional, de Brasília. Para os responsáveis pelas arenas, o decreto é equivocado porque aplicou para grandes estádios uma regra feita sob medida para espa?os menores, como teatros. "Se for atender a lei, é um volume de espa?o muito grande. Até porque s?o espa?os e assentos", ressaltou Miguel Capobiango, responsável pelo projeto de Manaus. "Vai encarecer os projetos porque vai exigir altera??es." A inten? ?o do governo federal é que os lugares sejam espalhados pelos estádios, com disponibilidade em vários setores, e n?o todos postados em um só espa?o. "Para nós, os locais n?o devem ser concentrados", concordou o secretário extraordinário da Copa-2014 em Pernambuco, Ricardo Leit?o. "Mas a capacidade será reduzida se seguirmos a lei." A legisla? ?o n?o é respeitada na maioria das arenas que recebem jogos atualmente no país. Elas seguem normas internacionais, com menor número de assentos, concentrados em um setor, como os cerca de 300 do Morumbi. "Temos boa ocupa? ?o assim. Se f?ssemos botar mais, ficaria ocioso", afirmou o assessor da presidência do S?o Paulo José Mansur. It's easy to see the "one-step" into stores and restaurants that stop wheelchairs, walkers and strollers alike in their tracks. But as Canada's population ages and Ontario approaches the first significant deadline outlined by the Accessibility for Ontarians with Disabilities Act, universal accessibility is becoming a standard of planning and design. Yet there's still much work to be done. Speakers at a forum Saturday in Kitchener to mark the United Nations' International Day of Persons with Disabilities said the biggest barriers are often the hardest to see. "It's (about) how simple improvements can make life better for everyone," said Gavin Grimson, who has progressive multiple sclerosis but has also working community health planning for decades. He is the former executive director of the Waterloo Region District Health Council. 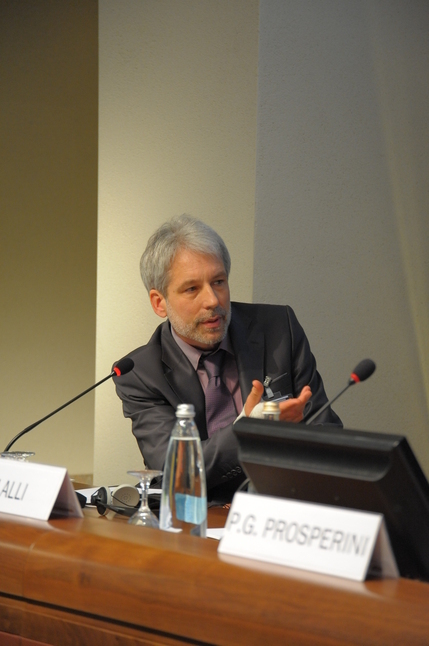 He spoke during the forum, titled "Aging with and into Disability: Leading the Way to Inclusive Community Planning and Development." It highlighted that more accessible design helps everyone from the young mother pushing a stroller to the grandmother with a walker. Grimson said the dropped curbs and ground-level doors in Belmont Village and Kitchener's renovated King Street East are examples of how planning has turned into good practice. "There's progress everywhere you go," he said. "But there's still so much progress that needs to be made." "How can you be part of the community if the community doesn't plan for you?" And attitudinal barriers can be even harder to spot than a door frame that's just too narrow for a bulky electric wheelchair. "The biggest one (barrier) I think is attitude," said Brad Ullner, a member of the Social Planning Council Kitchener-Waterloo that organized Saturday's forum and luncheon. He said legislation like the Accessibility for Ontarians with Disabilities Act is helpful, but it doesn't necessarily address attitudinal barriers. Friends Matt Thola (left) and Karim Ladki, founder of 9Lives Adventures, an adrenaline-fueled tour operator catering to the physically disabled community, take in the view from Rainbow Glacier as part of a helicopter tour of the Whistler area. KARIM Ladki knows firsthand how quickly life can change. In 2007, at age 21, he experienced a car crash in Kelowna, resulting in a C7 vertebrae fracture. Having broken his neck, he faced the possibility of paralysis. A self-described "adrenaline junkie," the prospect of living the rest of his life confined to a wheelchair was all too real for the following three months he spent in recovery. While Ladki, a 25-year-old North Vancouver resident and Handsworth secondary grad, fully recovered from his injury, he counts his blessings and isn't blind to the fact that many others aren't so lucky. He's since dedicated his life to helping others live theirs to the fullest, regardless of their level of ability. Ladki is the founder of 9Lives Adventures, an adventure tour operator catering to people with physical disabilities. Its mission is to create opportunities for, as well as fight against the limitations often set upon, people coping with disabilities, and change the public's perception of adventure travel. Since its founding last year, 9Lives is continuing to grow as well as "raise lots of eyebrows" among members of the general public, says Ladki. - Lead and participate in developing, coordinating & delivering Interior Design related tasks including: Space planning, Interior layout, furniture & fixture selection, fabric and finish selection, casework, mock-up, sample and mood boards, product pricing, as-built drawings, working drawings as well as specifications. - Understanding of applicable codes and universal design concepts. Architectural Consulting Group - ACG has been a pioneering force in the planning, design and implementation of development projects in the Middle East and GCC since its beginning in 1976. Over the past 35 years ACG has grown into a regional multifaceted consultancy firm in the area with offices in Abu Dhabi, Dubai, Al Ain, Fujairah, Doha and Oman, and striving for further expansion in Saudi Arabia and Bahrain. Our capabilities span all service areas needed to take a project from conception to operation. ACG has built a solid reputation in the A&E industry by successfully completing numerous projects in many sectors and different markets throughout the United Arab Emirates and neighboring countries. Photo of the Presidents of Fundación ONCE, UNWTO and ENAT at the signing. "The facilitation of tourist travel for persons with disabilities is a central part of responsible and sustainable tourism," said UNWTO Secretary-General, Taleb Rifai. "Over 600 million people worldwide suffer from some form of disability and it is the duty of every one of us to help ensure that they enjoy equal access to travel and tourism". The Executive Vice President of the ONCE Foundation, Mr. Alberto Duran López, stressed the importance of counting on the support of UNWTO. "We are happy to work with UNWTO and ENAT and trust this partnership will significantly advance equal opportunities and rights for persons with disabilities," he said. The President of ENAT, Ms. Lilian Müller, expressed the hope to "bring a greater awareness of 'Accessible Tourism for All' among UNWTO members and to provide them with new tools and resources so that they can make effective progress in this growing field of tourism". Aimed at enabling universal access to tourism facilities and services, the Agreement entails a series of initiatives, including awareness-raising, technical support, indicators and training in the field of accessibility to National Tourism Administrations and tourism enterprises. The trilateral accord also involves the promotion of traineeships for young persons with disabilities, with a view towards their integration in the labour market. It further encompasses the funding of pilot projects in destinations, involving the application of new technologies, to facilitate the participation of persons with disabilities in tourism and leisure-related activities. Signed in Madrid by Mr. Rifai, Mr. López, and Ms. Müller, the Cooperation Agreement builds on the UN Convention on the Rights of Persons with Disabilities (30 March 2007), and the UNWTO Resolution on Accessible Tourism for All, adopted by the UNWTO General Assembly in 2005 and prepared in collaboration with the ONCE Foundation. 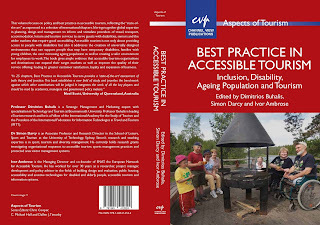 This volume focuses on policy and best practice in accessible tourism, reflecting the "state-of -the-art" as expressed in a selection of international chapters. It brings together global expertise in planning, design and management to inform and stimulate providers of travel, transport, accommodation, leisure and tourism services to serve guests with disabilities, seniors and the wider markets that require good accessibility. Accessible tourism is not only about providing access to people with disabilities but also it addresses the creation of universally designed environments that can support people that may have temporary disabilities, families with young children, the ever increasing ageing population as well as creating a safer environment for employees to work. The book gives ample evidence that accessible tourism organisations and destinations can expand their target markets as well as improve the quality of their service offering, leading to greater customer satisfaction, loyalty and expansion of business. International Disability Connect 2011: Join in Today! In honor of Mobility International USA (MIUSA)'s 30th Anniversary and the 2011 International Day of Persons with Disabilities, you are invited to join us and other disability organizations from around the world onDecember 1, 2011 for this online gathering! International Disability Connect 2011 is a free, 24-hour, virtual gathering bringing together people with disabilities with international exchange experience, MIUSA exchange alumni, and disability organizations worldwide for interactive discussions on specific topics. The goal? To Connect, Collaborate...Challenge, Change! All that is needed to participate is Internet access; the event is fully accessible online. Conversations will be held in English, but Google Translate will be available for those who need it to translate into their language--Spanish, Arabic, Russian, French, etc. December 1, 2011 starting at 5:00 am (U.S. Pacific Standard Time PST) and ending on December 2, 2011 at 5:00 am (U.S. Pacific Standard Time PST). Check what time that is for you. The forum will be open the entire 24 hour period with scheduled topics of discussion or regional chats at specific times. At http://disabilityconnect2011.ning.com! The entire gathering will be held virtually. Anyone in any part of the world can join the discussion with limited internet requirements. Visit the International Disability Connect 2011 website and sign up using the box in the upper right hand corner. Once you are signed up, we ask that you complete your profile and post an introduction in the "Introduce Yourself" discussion forum. If you are having any trouble signing up for the International Disability Connect 2011 network, please email clearinghouse@miusa.org and we can assist. Share news of this event with everyone you know who this relates to and may be interested! Use this information directly, or use the International Disability Connect 2011 "Invite" tab to automatically invite relevant participants.